An early start to the wildfire season and low snowpack led to fire restrictions in the Cariboo this week, as the province tries to prevent a third straight year of record wildfires. 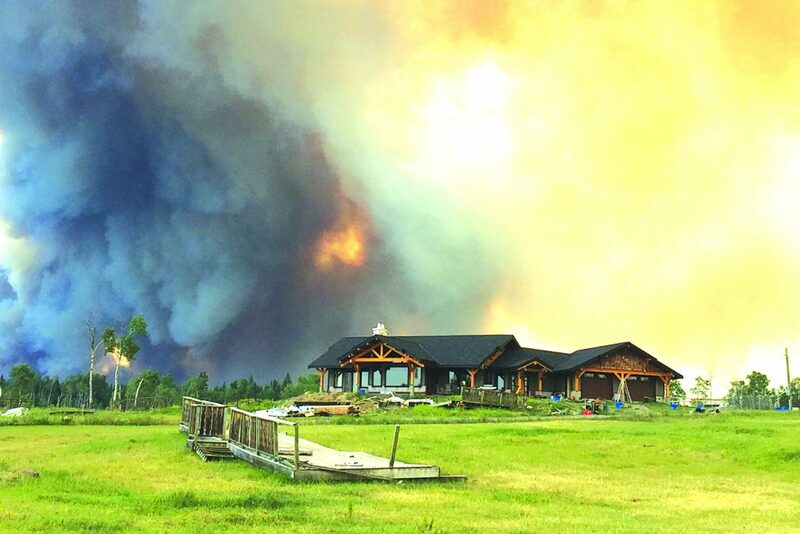 “Category 3 open fires will be prohibited throughout the Cariboo Fire Centre,” the province announced April 9. The ban takes effect at noon on April 15 and runs through September 27. Category 3 fires include grass fires greater than a half-acre and the burning of windrows as well as other large blazes. Campfires whose height and width don’t exceed a half-metre are permitted. The restrictions follow the discovery of several fires in the closing days of March and early April. The largest, at 170 acres, is in the Squamish Valley, while this week has brought blazes in Kleena Kleene, Juniper Beach and Chetwynd. Yesterday, spot fires were reported on Vancouver Island and in the Peace. The province boosted spending on wildfire management to $101 million last month, and has also been engaged in outreach across the province with a view to making communities FireSmart. But much depends on weather conditions – moisture levels, the amount of dry vegetation and debris, and storm systems that can spark fires. The province’s latest water supply bulletin reports a snowpack below normal in many basins, especially those serving growers in the Stikine and Northwest as well as most southern parts of the province. An exceptionally dry March may mean low risk of flooding but a greater risk of dry conditions this summer. “The snowmelt component of seasonal runoff for Vancouver Island, South Coast, and Lower Fraser is below normal and may lead to low flow issues in the summer,” the province reports. 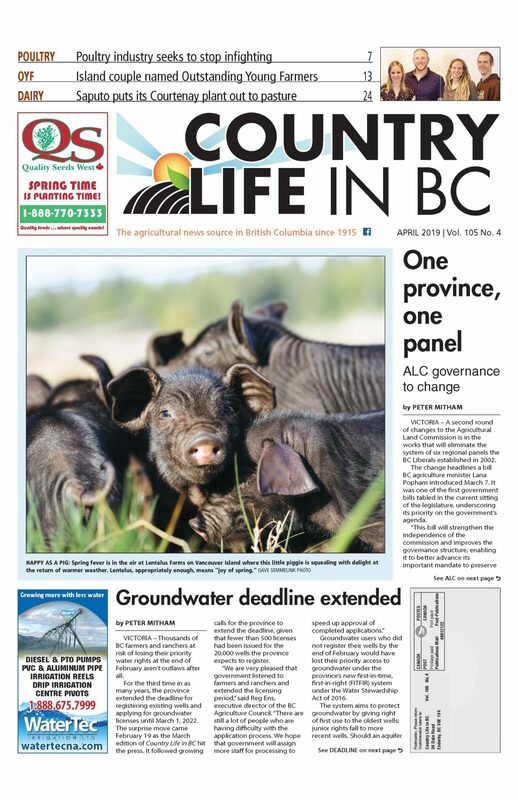 Growers in the Fraser Valley, for example, told Country Life in BC this week that the Fraser River was the lowest they’ve seen in years. The same could said for local canals, suggesting implementation of water restrictions could come into play earlier this year than last.